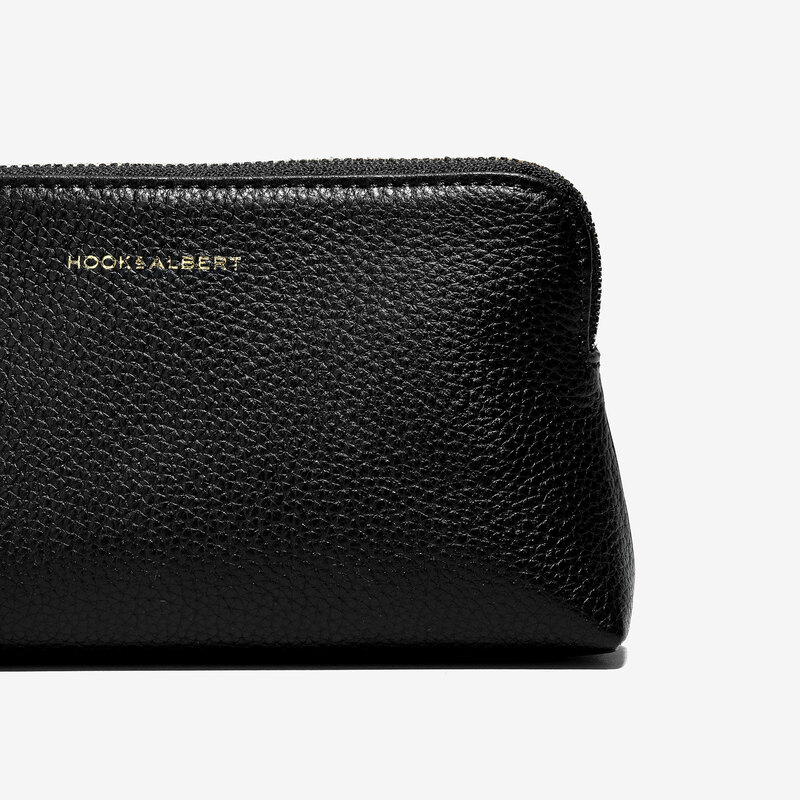 Organize cosmetics and personal items with the ever-stylish Hook & Albert Cosmetic Traveler. Designed for the woman on the go, the case is constructed with luxe-pebbled, genuine leather, moisture proof lining and gold zippered hardware. 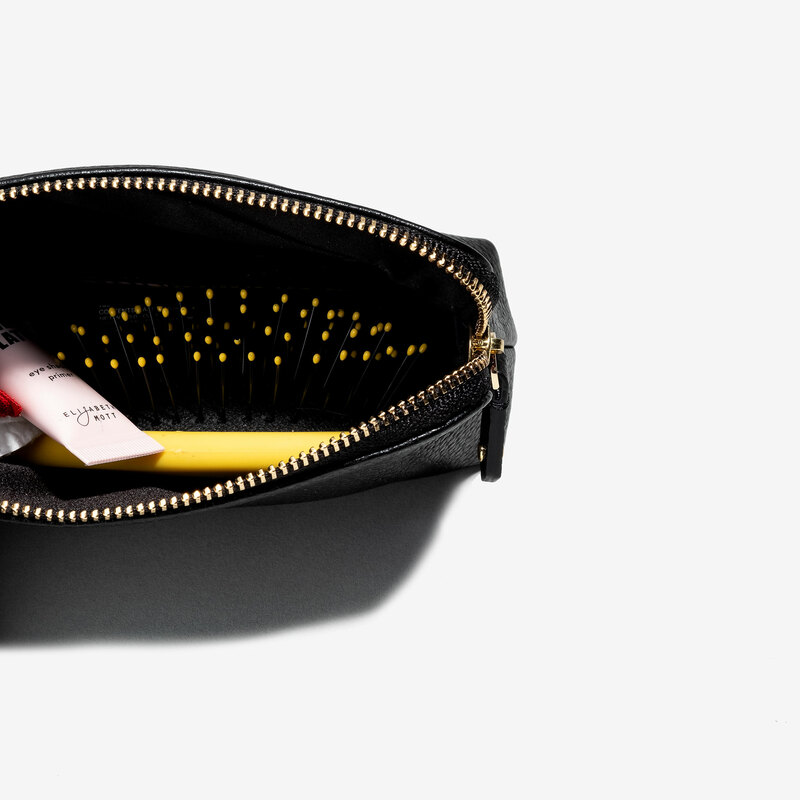 The cosmetic case features an inside pocket for cards, mints and other important items. Measures: 7" x 3.75" x 1.75"